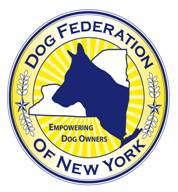 New York, NY – September 28, 2007: The Dog Federation of New York (DFNY), a statewide coalition of dog owners and dog-related organizations, issued a statement today expressing deepest concern over a new ordinance unanimously approved by Town of Haverstraw Councilmembers to restrict dog ownership by limiting the number of dogs town residents are allowed to own. In press reports Haverstraw Town Supervisor Howard T. Phillips indicated that similar limitations on cat ownership may be discussed in the future, and consideration of breed specific measures was mentioned. Responding to a barking dog complaint, on September 24 the Town of Haverstraw approved a limit law that restricts the number of pets permitted in each resident’s home. That plan has angered many town residents, who are coming out in force to oppose the law. Breed specific measures are illegal in New York State, and they are opposed by every credible animal welfare organization in the country. Haverstraw’s limit law plan will also have a negative impact on the rescue community. 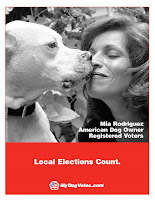 “There are many people who voluntarily shelter homeless dogs without adding to the taxpayer’s expense. They foster dogs in their homes. 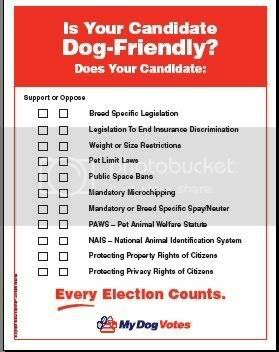 This ordinance would be a death knell for many innocent dogs.” Ms. Goer also cited constitutional issues with the proposal, as similar ordinances have been overturned as violations of the 14th Amendment. Under the new law, residents will be limited to four dogs. There is no "grandfather clause" for pets that may have resided in Haverstraw homes for many years. The DFNY offers assistance to the Town of Haverstraw in crafting a solution and encourages the town to fairly, consistently and strictly enforce reasonable animal control measures and nuisance noise ordinances.